In this webinar, which LabRoots will host February 21, attendees will learn how to reduce cost by automating biopharma quality control processes. Sponsored by Beckman Coulter Life Sciences, this webinar takes a look at some common quality control procedures and how automation can help improve data integrity by reducing opportunities for human error, while at the same time potentially reducing operating costs. One report suggests that an average pharmaceutical manufacturing plant spends nearly $50M per year on quality control. At the same time, another report states that 79 percent of all 483 Warning Letters issued by the FDA in 2016 cited 21 CFR part 11 data integrity issues. Any process that automates the quality control SOP can potentially both reduce the impact of human error on data integrity issues and also bring welcome savings by reducing the time technicians need to devote to carrying out the SOP. Through this webinar, participants will learn how 21 CFR part 11 compliance can be improved by automating quality control testing. They will also discover how re-training is only part of a CAPA response to a regulatory inspection finding. The speaker for this event will be Tony Harrison, a senior product manager with Beckman Coulter. Harrison earned a Bachelor's Degree in Electrical & Electronic Engineering and is employed by Beckman Coulter Life Sciences. 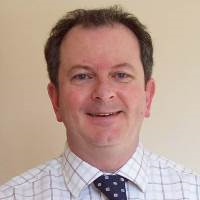 He has held the Convenorship of the ISO Working Group revising ISO 14698-1 & -2 for microbial control in cleanrooms and was the UK subject matter expert to the ISO Working Group who issued the 2015 revised versions of ISO 14644-1 and -2 at the heart of the global GMP regulations. LabRoots will host the webinar February 21, 2018, beginning at 8 a.m. PST. To learn more about this event, discovery the continuing education credits offered, or to register for free, click here. Beckman Coulter serves customers in two segments: Diagnostics and Life Sciences. The company develops, manufactures, and markets products that simplify, automate, and innovate complex analytical testing. More than 275,000 Beckman Coulter systems operate in both Diagnostics and Life Sciences laboratories on seven continents. Scientists use Beckman Coulter’s Life Science research instruments to study complex biological problems, including causes of disease and potential new therapies or drugs. Quality control specialists use Beckman Coulter’s analytical instrumentation to maintain quality control in the pharmaceutical manufacturing industries.